Another fresh verrine that I enjoy eating! You can also add some olives if you want too! 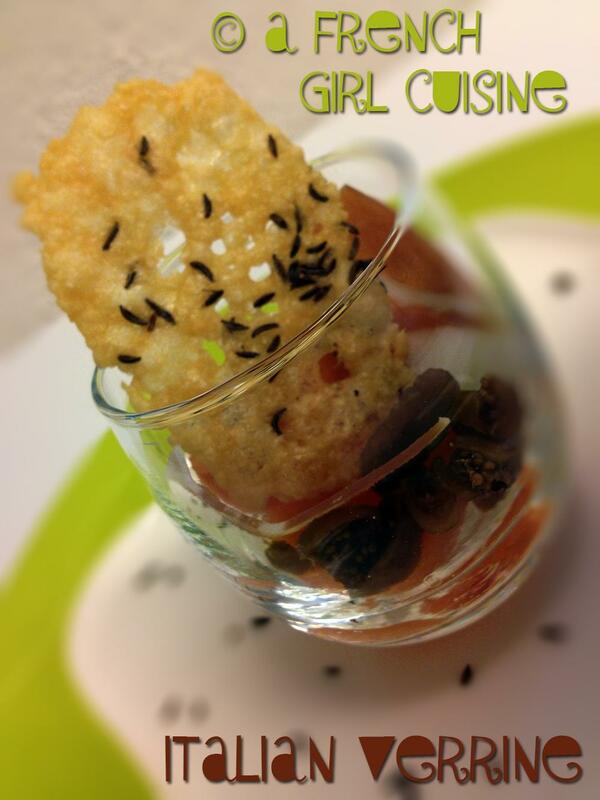 Follow the same step of the beetroot verrine recipe to bake the parmesan chips but replace the thyme by some cumin. Open the melon and scoop out the seeds. Cut the flesh of the melon with a melon bailer into balls. Slice the fig and the ham. Fill the verrines with the melon balls, the figs and the cured ham. Place a parmesan chips on top of each one.